An app with overabundant features can make it more customizable, but too many options can also be overwhelming, even on a mobile web browser. If you're tired of Safari or Chrome on your iPhone, try out Frameless from developer Jay Stakelon, a simpler web experience using just the essentials. Frameless provides a minimalist alternative to all of the web browsers out there by providing a full-screen, gesture-filled experience when surfing the web in iOS 8. And since it's a full-screen browser, it looks amazing on any iPad or iPhone 6 model. Note: Frameless works on all devices running iOS 8 and higher. Open up Frameless on your iOS device and you'll be greeted with an address bar, a small settings icon nestled near the bottom-left of the screen, and your keyboard. Unlike other browsers, you'll need to enter the full URL to get to a site. There is no built-in search engine; if you want to Google or something, you'll need to go to google.com to enter your search query. 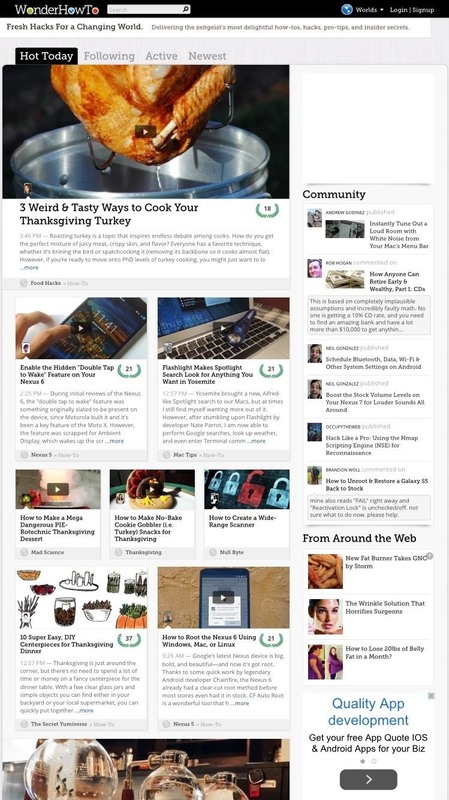 Once you go to a site, the view will be in full-screen, and boy does it make a difference. It's surprising how just a few more pixels of screen real estate can compliment the iPhone 6 and 6 Plus displays so highly. No address or status bar to get in the way. Instead, you've got a completely distraction-free UI. 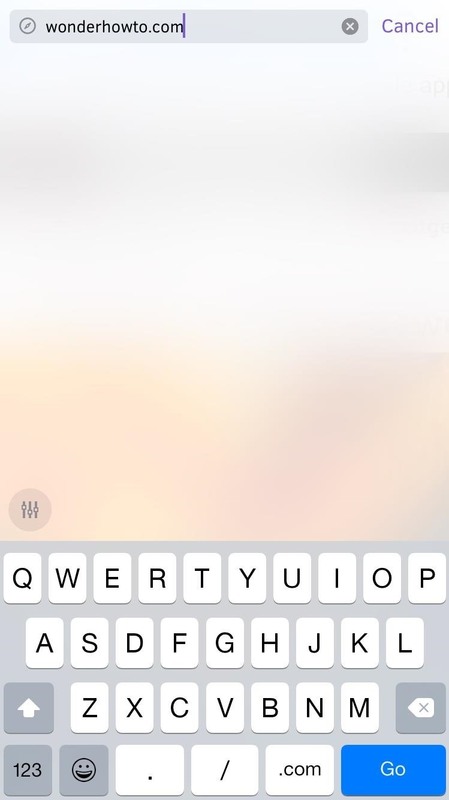 To navigate back or forward, simply swipe left or right on the screen. There are no multiple tabs, no sharing, no bookmarks, and no private mode. Just pure, unadulterated, bare-bones web browsing. 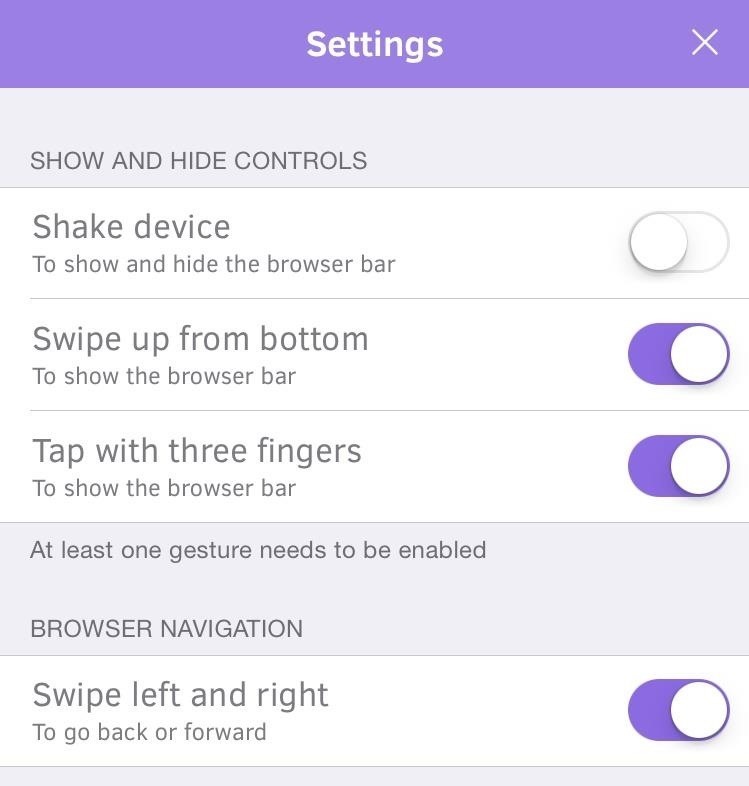 As for other gestures, you can either shake the device, swipe up from the bottom of the screen, or tap with three fingers to bring up the controls (address bar and keyboard). Through the settings icon, you can disable any of these gestures if they get in the way. While Frameless was constructed with designers and developers in mind, it works great as an everyday browser for regular users as well. It hasn't quite replaced my other web browsers (for when I want to bookmark or share) on iOS, but it will definitely be used on an everyday basis. What do you guys think of Frameless? Let us know in the comments below or through our Facebook and Twitter feeds.